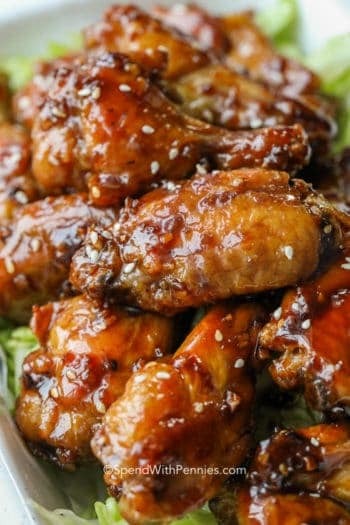 Sweet sticky chicken baked up in the oven makes an easy weeknight meal! 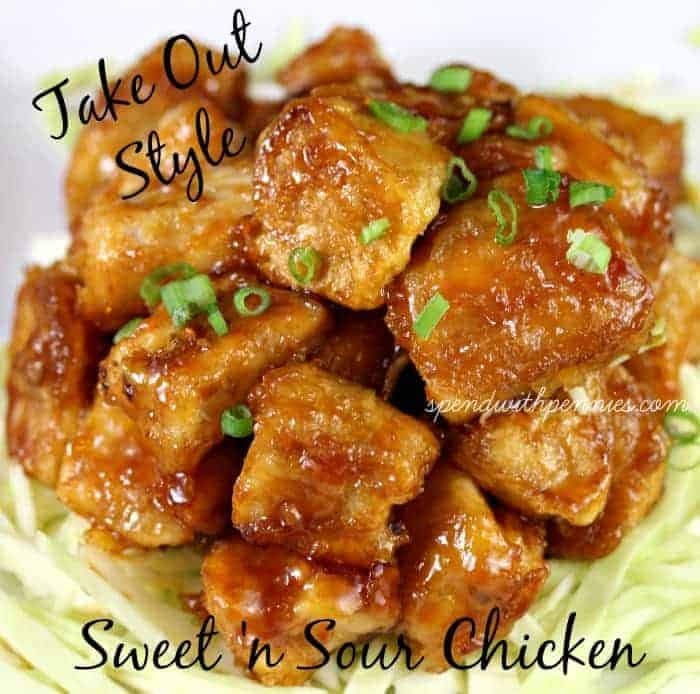 If you love take out sweet and sour chicken, you are going to love this recipe! It’s easy and delicious and tastes even BETTER than ordering in! 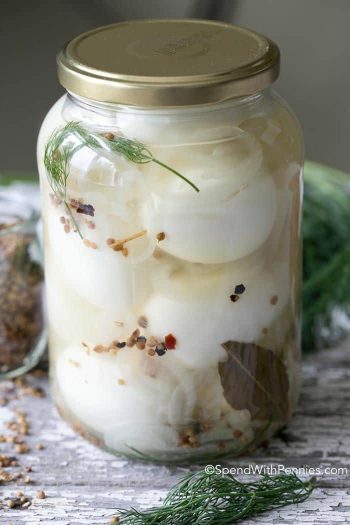 This makes a fantastic appetizer or a delicious meal! 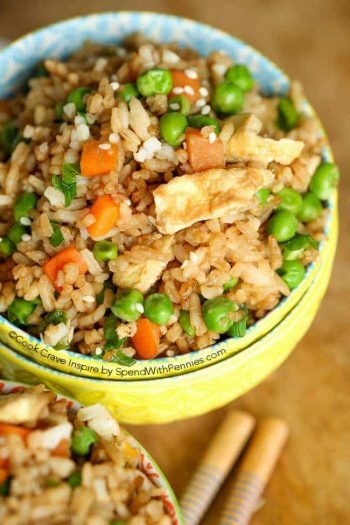 Serve it up with some rice and a side of steamed veggies for a dinner that your whole family will love! 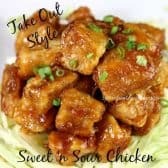 If you love takeout sweet and sour chicken, you are going to love this recipe! It’s easy and delicious and tastes even BETTER than ordering in. 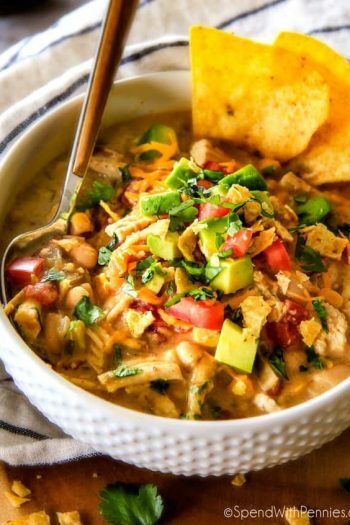 This makes a fantastic appetizer or a delicious meal! Serve it up with some rice and a side of steamed veggies for a dinner that your whole family will love! Combine cornstarch, salt and pepper in a Ziploc bag. 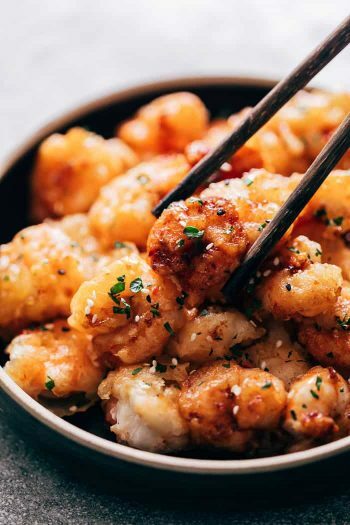 Cut chicken into small cubes and toss with cornstarch. Beat eggs in a small bowl and dip each piece of chicken in the egg. Preheat oil over medium heat in a skillet and brown the chicken. Combine all sauce ingredients. 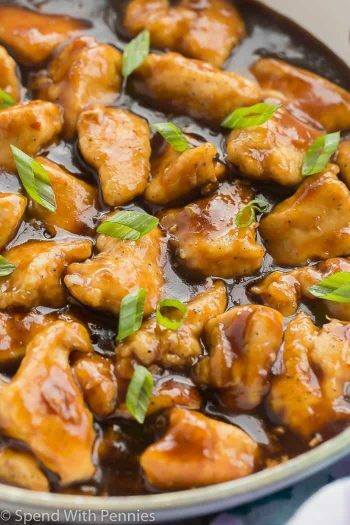 Place chicken in a 9x13 pan, pour sauce over top and bake uncovered for 45-50 minutes. Stir every 15 minutes.